COOKIE and her baby boy RUDY #A5138566 ended up in the Shelter right at the Holidays because their Owner died and no one in the family wanted them. They are adorable and they need help now. The Carson Shelter is not exactly the place where hope and love abound. 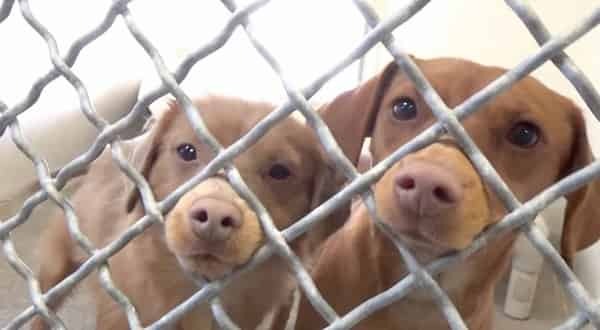 The dogs in the facilities are given just a few weeks, and sometimes even just days to find forever families before the unthinkable happens: euthanasia. #A5138564 My name is COOKIE and I'm an approximately 2 year old female Manchester Terr. I am not yet spayed. I have been at the Carson Animal Care Center since 12/22. I will be available on 12/22. You can visit me at my temporary home at C241. My former family who owned me for had to give me up because they passed away. INTERESTED IN FOSTERING? If you're in LA, OC, San Bernadino or Riverside County and would like to apply to foster a Carson pup, please call the shelter to complete the foster application. Thanks. 3 Responses to "Cookie and her baby boy ended up in this kill shelter because their owner died and no one in the family wanted them"
Thank you for saving them!!! !